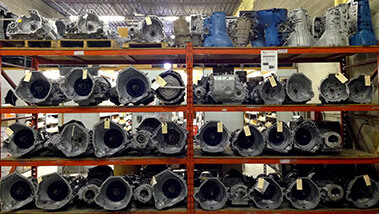 Can-West Transmission Parts LTD of Edmonton, AB specializes in transmission repair, replacement, and maintenance service. Additionally, we also build custom high-performance transmissions and transmission coolers. With almost 40 years of dedicated service to the community, we are known for being fair, honest, and reliable. Being a second-generation family owned and operated shop helps; our technicians are able to provide a higher level of service than you can get anywhere else. We do not just service and repair transmissions though, we also are parts shops that works closely with many of the local dealerships and independent shops. Can-West is Edmonton’s local go-to shop when it comes to transmission repair and service. Whether you are driving on the racetrack or commuting back and forth to work, Can-West should be your local transmission repair shop. As previously stated we don’t just do repairs, we also sell and install high-quality aftermarket parts. We can save you a little money by providing a rebuilt one rather than purchasing a new one. Custom Shift kits are available to help boost your performance when upshifting. 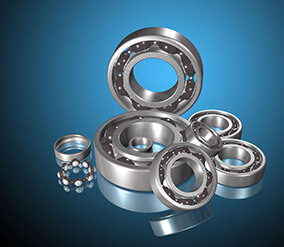 Additionally, we have coolers, torque converters, rebuilt transfer cases and flywheels available to help extend the lifetime and performance of your vehicle. Stop by anytime and one of our transmission repair specialists will help you find exactly what your car needs. 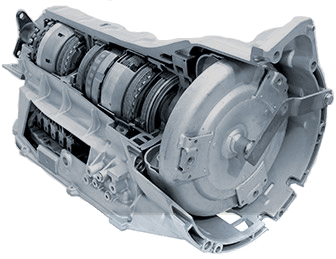 Your transmission is a very complex component and it is always advised to let a trained professional do any necessary repairs or services. Diagnosing problems isn’t easy and requires a more than your basic auto repair knowledge. If your gears are slipping or are slow to shift and not getting enough power to shift you may be experiencing transmission issues. A loud whiny sound when traveling over 25 mph, or a clicking or bussing noise are some of the more common audible warning signals you need transmission repair. Lastly, if you notice a burnt smell, you should check your fluid. This could be an indicator of a leak or the need to have your fluid changed. The fluid smells sweet and has a red color to it. If you notice a leak under your car or the dipstick is “sticky” and has buildup that is a good indication, you need to change your fluid and have them checked for leaks. If you are having any of these problems please contact Can-West of Edmonton, AB and we will make sure to get you and your car safely back on the road. Dependable transmission repair is what we do best. We are members of ATRA and are an AMA approved shop. We promise to deliver top-notch service at a fair and reasonable price. Stop by, call or schedule service online today! Check out our vast selection of aftermarket parts and services. We are members of the Automatic Transmission Rebuilders Association (ATRA), and Alberta Motor Association (AMA) approved. At Can-West Transmission Parts, we believe honest workmanship, fair prices and quality work are the values that have made our family-owned business such a success since 1978. That’s why we offer a 2 year/40,000 km warranty – for your peace of mind when you use our shop. When you come in, you can expect our technicians and parts specialists to be cordial and honest about your parts and service needs.